Kangaroo rats got their name because they have long back legs and can leap long distances. Both of these features allow them to thrive in dry and semi-dry climates, where vegetation is scarce and they need to cover a lot of ground to find food. They have a number of other adaptations for desert life, allowing them to live in some of the driest climates in the world. Kangaroo rats have broad skulls because they have large bony structures surrounding the inner ear, giving them extremely sensitive hearing. They also have large eyes because they're nocturnal and need to be able to see in the dark. They have large cheek pouches lined with fur where they can store a number of seeds before having to return to their burrows. Their nasal passages allow them to conserve water by reabsorbing moisture from their own breath. Despite living in the heat of the desert, kangaroo rats don't sweat. They also have very oily coats. Both of these adaptations prevent them from losing water. Without sweat, they are less able to cool their bodies, so they use their front legs to dig burrows underground. They stay inside their burrows during the heat of the day and emerge after the sun sets to forage for food. 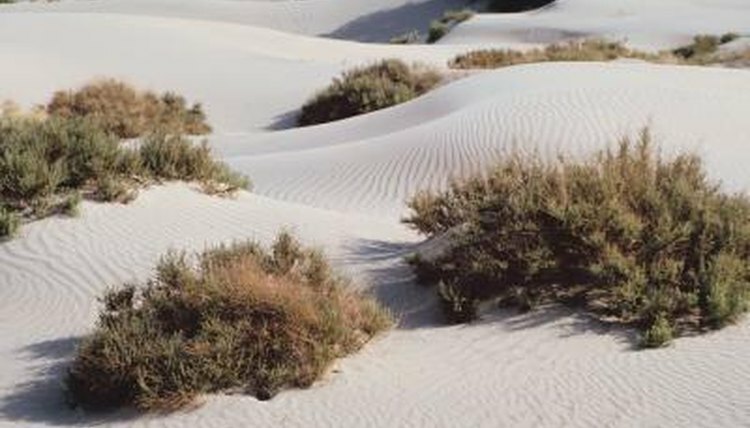 Their brown coats also help them blend in with the sand and soil. Two of the most distinctive features of kangaroo rats are their long back legs and long tail. They use their back legs to drum the ground when a predator is near. They're also able to hop using only their back legs, and they use their tails to balance them as they go. They can hop several feet at a time and can cover a lot of ground quickly. They can search for seeds over a large area and choose seeds that provide them with the most water. Kangaroo rats get all the water they need from their food because they eat seeds high in carbohydrates, which yield water when metabolized. Their kidneys are very efficient, producing urine that's five times more concentrated than human urine. They're able to excrete waste without losing much water. This allows them to survive in the desert without drinking. Mammalogy; Terry Vaughan et al.